History That Shines, MBZ Style. From one famous version to the next, to capture such a transition in the same eyeshot always proves fascinating, especially via matching samples. 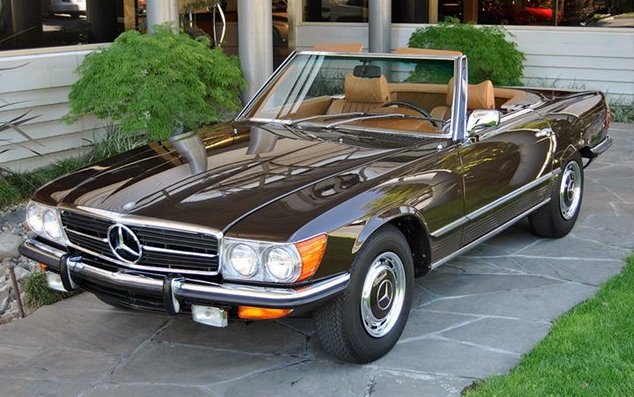 This particular automotive progression covers 1971 to 1972, W113 to R107, second generation to third– or most visibly, 280 to 350/450. 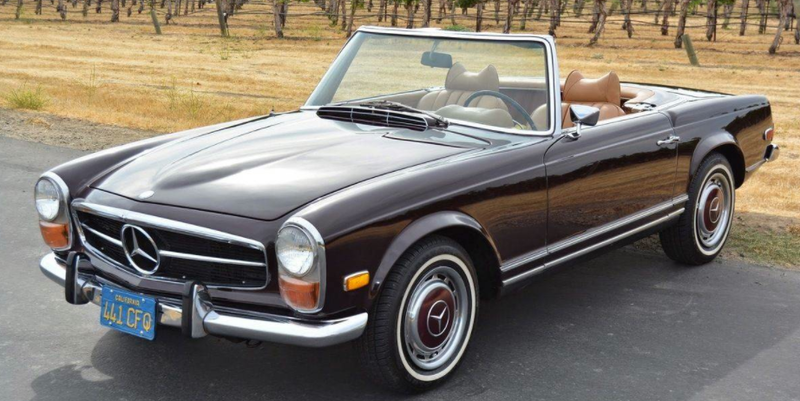 Altogether, the Mercedes-Benz SL shines through its rich history, while in this case the original California blue plates accurately reflect the close purchase period, no less. 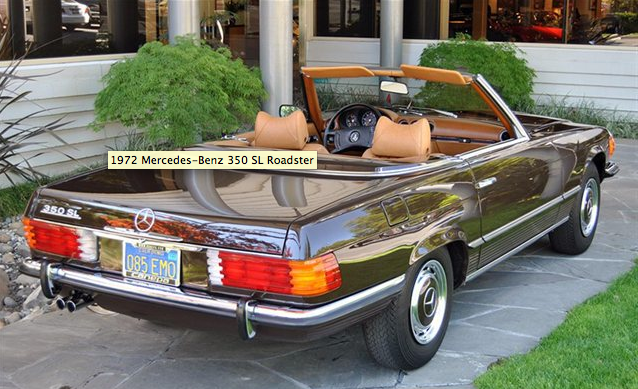 And to think, the newer of the two sits for sale right now in Santa Barbara, asking price $26K in case you’re so inclined.